Hey at least the anime is pretty amazing! A hit anime title sadly does not necessarily translate to a hit game. While some anime-turned-video-game titles have enjoyed moderate success such as the games from the Naruto and .Hack series, other titles have failed miserably (I’m looking at you Dragonball GT Final Bout). Gintama is one of the latest franchises to hit consoles and, with such a huge anime and manga following, will Bandai Namco be able to satiate the fans with this offering, Gintama Rumble? Check out our review! If you didn’t know already, the game Gintama Rumble is heavily inspired by musou type games, something like Dynasty Warriors or Senran Kagura, wherein you play as a character going up against HORDES of enemies. I mean like hundreds of enemies in the screen all at the same time. If hack and slash is your thing, then there’s very little to complain about with musou games, which often satisfies your desire to just mindlessly wail away at your enemies while making you feel invincible. Of course, there’s always a chance that this type of game won’t cut it and unfortunately for Sakata Gintoki, he doesn’t quite make the cut. I’ll put it out there and say that for fans of the anime, there is much to love about the game. Coming out for the Playstation 4 means that the graphics of the game will definitely look nice, which is a good thing and a bad thing. Good because you know that the characters, locales, and most especially the battles will be faithfully rendered, and to that extent the game does a very good job at it. The graphics are silky smooth with the game running at a blistering 60fps on the PS Pro that we tested the game on, even with the huge amount of baddies on screen. Bad, well because somehow that’s the only thing keeping this game afloat. As you progress through the game and the campaign, you’ll be able to unlock scenes and references to the anime that you will surely enjoy. While I would have loved to see more animated cutscenes, the current helping was enough for me. There is a wonderful feeling seeing your favorite anime characters come to life in a game and Gintama Rumble nicely translates that, especially during boss battles where you get to face some of Gintoki’s memorable foes. The campaign is pretty lengthy, taking you about an average of 25 hours give or take, which is certainly not bad! Now if you are like me who has not followed the anime closely but is looking for a quality hack and slash game, you may want to walk away from this one. I’m not saying the Gintama Rumble is bad, which it isn’t by any stretch, it just doesn’t quite cut it for me. For a game that requires me to hack and slash my way through thousands of foes throughout the game, the satisfaction of the fight isn’t quite up to par. The moves and special attacks sure look pretty, but they FEEL pretty flat and doing it all again for 25 hours will definitely make it feel tedious. Looking good is way different from feeling good, and Gintama Rumble chooses the former over the latter. At the very least, killing thousands of baddies will allow you to level up your character and earn you character points, which you can use to increase various stats such as HP, attack, defense, etc. You also get to find silver orbs across the various levels, and you can think of these orbs as add ons to your character, giving you various passive or active abilities. You can equip up to 3 orbs which will vary your playstyle a bit depending on what you choose to equip, so at least there is some semblance of strategy involved here. Unfortunately, there’s very little depth to the fights. Apart from the different settings, hallways, corridors, and rooms, the fights feel the same from start to finish, especially since a lot of those stages are reused throughout the game. Strategy is thrown out of the window, which is understandable for musou type games, but some sort of variation would be very welcome and Gintama Rumble has none of that. A quick youtube search of the best Gintama fights shows different characters duking it out with one another so to expect something like a boss fight rumble or maybe even character switching was something I had hoped to see but alas, there was no hint of such variety. Also, where are the opening and ending songs from the anime? It would have been a great touch to have those in there too but they are surprisingly absent. As to why, your guess is as good as mine. The silver orbs feature should have been fleshed out more, it could have used a bit more work but it was a promising mechanic. Levels get tedious really fast, took me around the 3rd level to really feel the grind. Straight up hack and slash game, with very little in terms of depth and strategy. 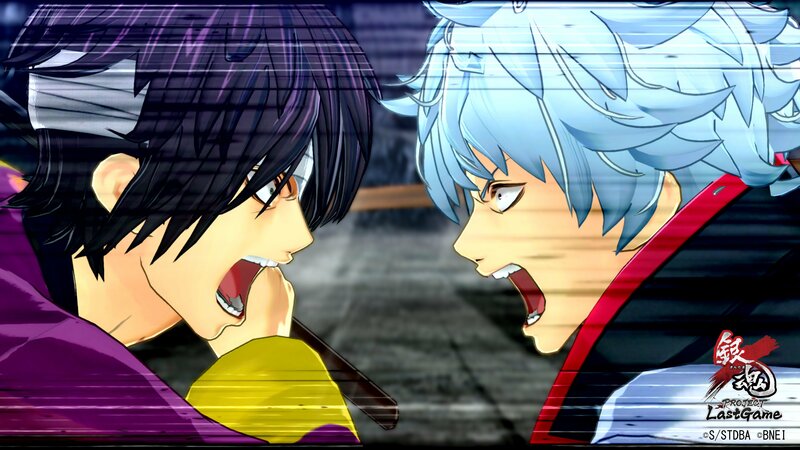 Gintama Rumble is not a bad game, it’s just not a good game either. Fans of the anime will surely enjoy but even then, there really is something lacking in the satisfaction department of the game. As mentioned up top, it looks great, it just doesn’t feel equally as awesome. Good thing about it is that it got me to watch the anime, which I thoroughly enjoyed so here’s hoping for another game that fixes out all the kinks of this one! *Gintama Rumble was reviewed on a PS4 Pro from a review copy provided by the publisher. 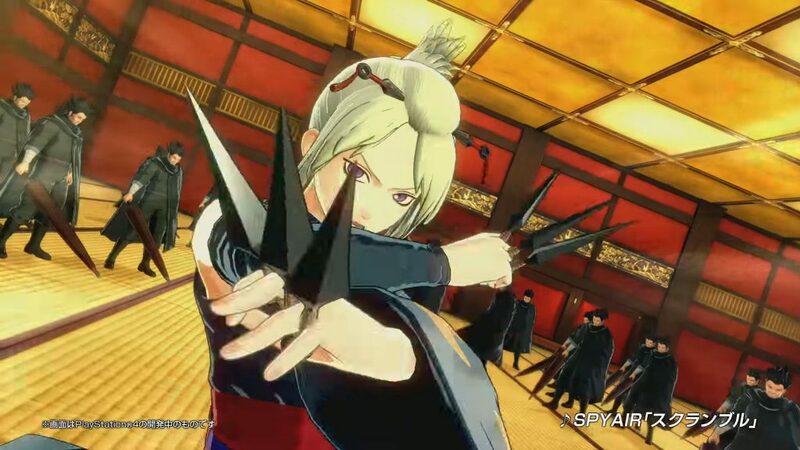 Gintama Rumble was promising, but the lack of variation and hack and slash satisfaction mars the whole game experience, wasting away the solid presentation value of the game. Previous articleMovie Review | If you aren’t ready for Ready Player One, you better press start soon because the film is spectacular!